cla, might take this one out to be posted at my blog..
wow! how awesome! junsu is one adorably talented dolphin! @ Anonymous: All I know is Picture of You and Stand by U but I heard he composed or write some other songs, too. that the song is Junsu’s style..
..it’s like his “WHITE LIES”..
I’m loving him even more. lol, he’s actually smart after all.. considering that he almost cried or did cry when he found out how low his iq was in high school. 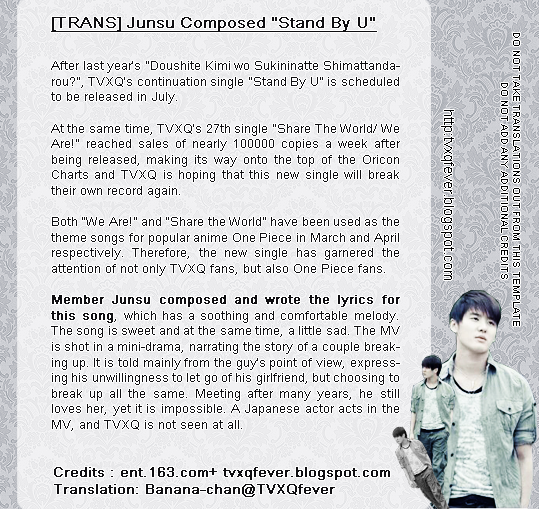 @ Anonymous: Junsu’s actually smart. He just gets rattled and fooled easily but believe me, he is smarter than he seems. LOL.